There is, perhaps, no more romantic a setting for saying “I do” than the Old Drovers Inn. This historic, Hudson Valley Colonial landmark has, no doubt, been the setting for love affairs of all kinds since the 1700’s. Today, when couples choose to host their wedding here, they can expect not only the traditional formality of a historic colonial setting but also the opportunity to create a unique wedding experience with a new, wood-frame, period barn for large receptions of up to 250 people. 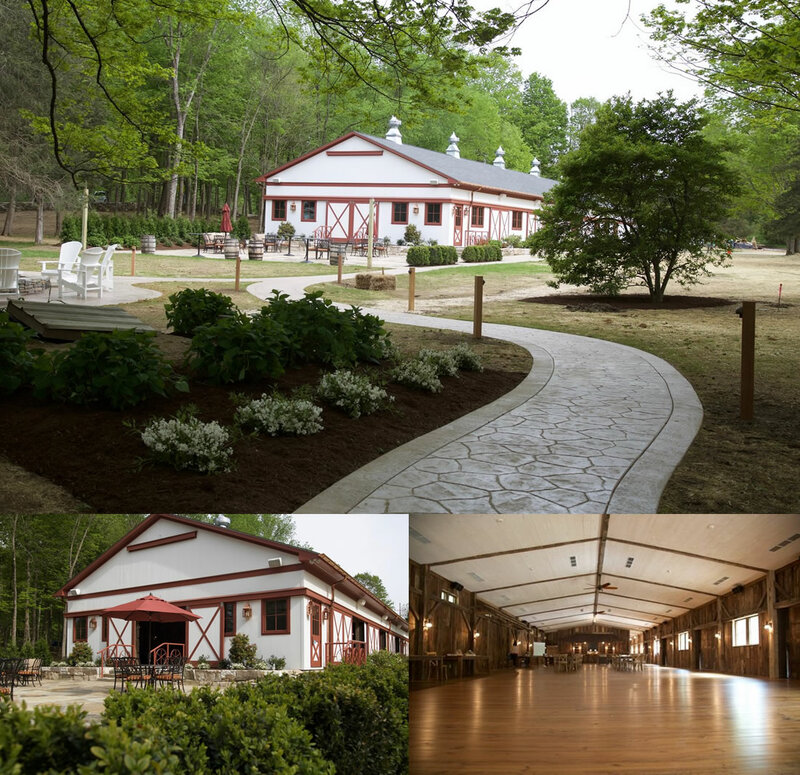 The Preston Barn is located on the picturesque grounds of the Inn and provides all the rustic charm of yesteryear along with all the modern amenities that couples desire. So, whether you’re planning to elope with a small, formal dinner of ten people or are planning a large reception with a Friday evening rehearsal dinner and after wedding brunch, we can accommodate you and your guests for the entire weekend. 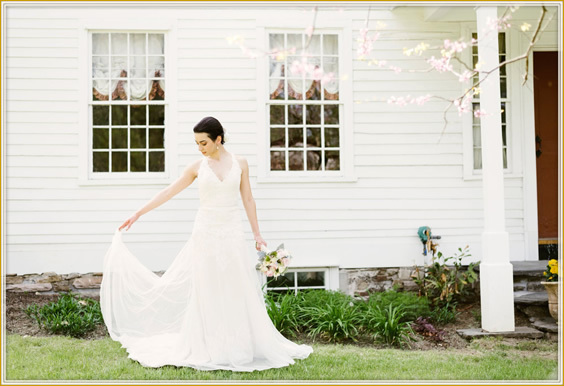 At Old Drovers Inn, we specialize in the boutique-style event of 50 people or less. The Inn has a variety of private and semi-private spaces that can create an intimate atmosphere like no other. Whether it’s a wedding, a special birthday or a holiday party, we can mold an event to be remembered and cherished. 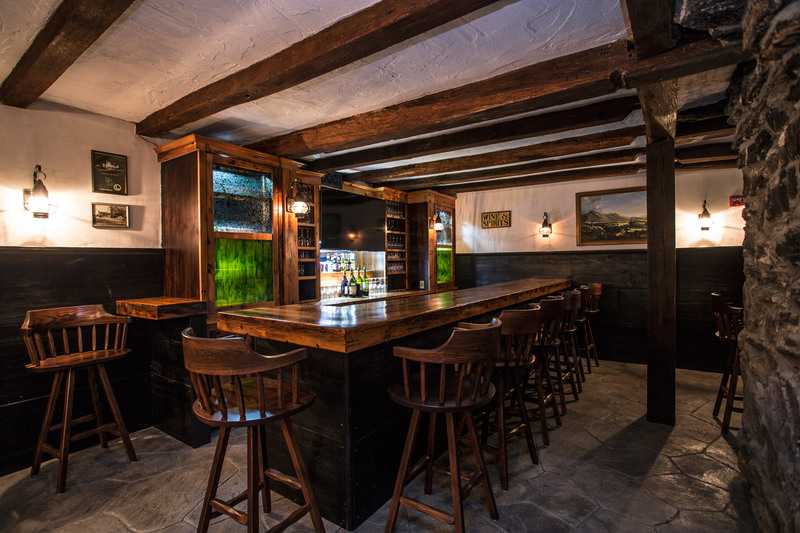 The Colonial Tap Room seats up to 55 people and is a great spot for private dining. The dark wood and plastered walls, illuminated by candlelight and lanterns, set the stage for a daytime gathering or a dramatic evening affair. The main dining room of the Inn can accommodate up to 26 people. 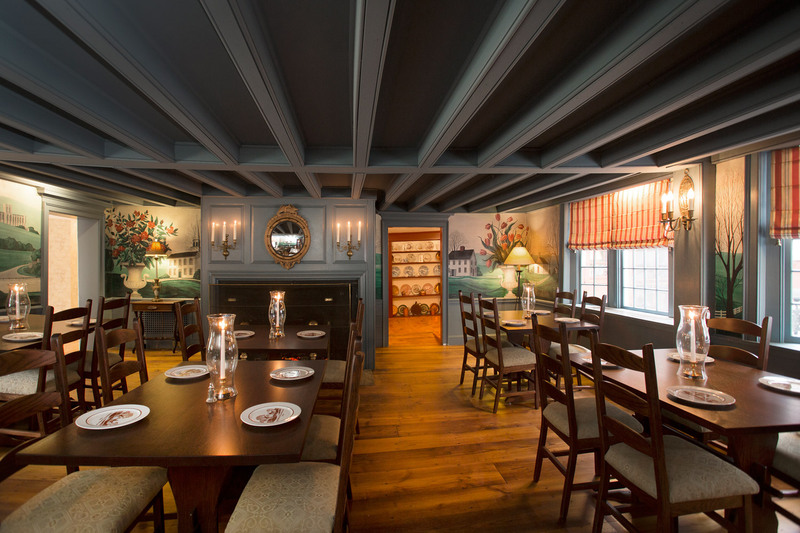 With a grand, wood-burning fireplace and hand-painted murals that date back to the 1940’s, this room can serve as the central focal point for any occasion.